According to the Federal Motor Carrier Safety Administration, commercial vehicles account for twelve percent of traffic fatalities. In 2016 alone, the most recent year for traffic statistics, 4,564 people died in crashes involving commercial drivers. Though accidents will happen no matter how many precautions are taken, there are still ways to reduce the likelihood of being involved in an accident similar to the one seen in New York. For example, limos manufactured in factories must meet strict safety regulations, where as cars converted into limousines do not. Accordingly, when renting a limousine, individuals can reduce the likelihood of injury in a crash by inquiring about the type of limousine they will receive, in order to ensure they receive a limo that contains safety features like airbags and emergency exits. Passengers of commercial vehicles may also reduce their chances of involvement in an accident by remaining alert and checking to make sure their driver remains awake and focused. See Motor Vehicle Traffic Safety Fact Sheet. In the event that precautions fail and an accident occurs, passengers may be entitled to financial compensation for the injuries they sustained. Because commercial drivers owe a duty of care to their passengers, the company that employs the driver or the driver alone may be liable if the company or the driver acted negligently or recklessly in a way that breached the duty of care they owed their passengers. Every accident is different though, so anyone involved in this type of accident should consult an experienced Personal Injury attorney, in order to receive personalized advice that directly applies to the facts of his or her situation. It should be noted that the rights and remedies available to victims and / or their families may be unlimited or uncapped under the laws of the state where the accident happened; however, as a practical matter, the recovery of compensation will be limited by the amount of available liability insurance and / or assets of the company. For example, if a Wal-Mart driver is as fault for an accident, the financial resources of Wal-Mart will be able to cover a seven or eight figure settlement with ease. If the crash was caused by the driver of a very small company with limited assets and limited insurance, then the recovery for the full damages in a significant or catastrophic case will be quite limited. 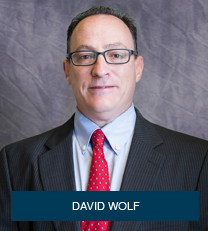 David Wolf is a personal injury attorney with over 28 years of experience. He is the author of 11 books and over 4,000 articles that focus on personal injury and safety related matters. David Wolf is the author of the book titled – Big Trucks – Big Problems – When a Truck Driver Wrecks Your Day and Life – Legal Rights of the Injury Victim and Families. You can get this book for free at Truck Accident Book.